The MS Queen Elizabeth and the MSC Musica luxury cruise liners docked at Cape Town harbour on Friday, January 18, bringing a wave of economic opportunities to the city’s shores and stimulating tourism. The Queen Elizabeth is no stranger to Cape Town and carries 2 068 passengers and 996 crew members. The MSC Musica has 1 268 cabins that can accommodate 2 550 passengers in double occupancy and is served by about 990 crew members. “Cape Town is fast becoming the preferred port of call for inbound and outbound international cruise travellers to South Africa. We had the honour of welcoming the Aida Aura from its world cruise last week and it was carrying 1 200 passengers and 390 crew members,” said Vos who mentioned that the two cruise liners collectively brought 4 000 visitors to Cape Town’s shores. The cruise industry has experienced significant growth, from just 6 050 passengers in 2012 to 29 269 in 2016, and 31 035 passengers in 2017. During the 2016/17 cruise season, approximately 19 vessels visited the city. There is also a significant increase in local cruising along the South African coastline, according to the V&A Waterfront. “This sector has the potential to grow even further, with huge economic spin-offs for the city and its residents. I will work with our tourism partners and the V&A Waterfront to promote the city as a destination of choice globally for cruise tourism. For every 12 tourists visiting our shores, one job is created. We will continue to invest in tourism programmes and projects that drive demand and make business sense, as tourism sustains about 150 000 jobs in Cape Town,” said Vos. The recent construction of a dedicated cruise terminal, funded by the V&A Waterfront, has proved to be a worthwhile venture and it is already showing a massive return on investment. According to Vos, the cruise liner industry offers significant potential for tourism growth, with the average daily tourist spend of between R501 and R1000 (€32 and€63), excluding accommodation. The average spend by an international tourist per trip is R8 400 (€531) in-destination (while in Cape Town), and a R10 600 (€670) prepaid spend (before a traveller arrives at SA shores). 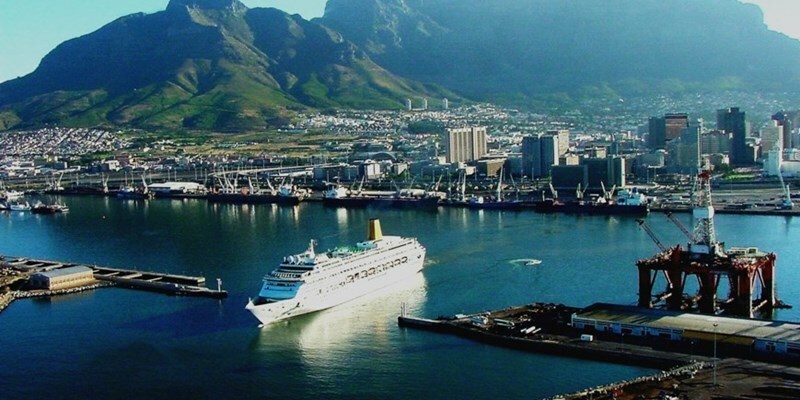 Figures from Cape Town Tourism indicate that the projected value of the cruise tourism industry between 2017 and 2027 is estimated to be in the region of R220bn (€13.9bn). Cruise ships carrying around 2 000 passengers result in spending to the value of R2 million (€126 500) per day. Vos said the cruise industry had the potential to provide substantial economic benefits. They arise from a number of sources such as the spending power by cruise passengers and crew, the shoreside staffing by cruise liners for tour operations, the spending by cruise liners for goods and services necessary for cruise operations, and the spending for port services and maintenance. “Based on the number of confirmed bookings for the 2019/20 cruise season, we can already see a dramatic increase in the number of vessels due to visit our port and city,” concluded Vos.